Very few in Peoria can ever match the total commitment to the athletic scene as demonstrated by William "Corky" Robertson. An outstanding athlete even in grade school, he played for Whittier as a guard and seventh grader for the basketball team that won the city championship, and as a catcher for Derges Squirt Softball Team that won 63 straight games. At Peoria High School he played Varsity baseball for four years and football for three, and was co-captain in both football and baseball his senior year. He was All-City guard his sophomore year, and All-City/Greater Peoria as a tackle his junior and senior years. During his senior year, he was named All-State by both the Chicago Daily News and Champaign News-Gazette. At Bradley University, Robertson started as Offensive Center in football for three years and Catcher/1st Baseman for three years (freshmen were ineligible at that time). He played Sunday Morning League baseball for twelve years. In 1953, he began his coaching career at Princeville High School where he served as head basketball, assistant football and head track coach. Returning to Peoria High in 1956 as an assistant coach, he was head coach in football from 1957 to 1965, compiling a record of 50 wins, 20 losses and 8 ties. His 1963 team was undefeated and untied, the first in the history of the school, and the 1957 team was Big 12 Champion. In 1963 and 1964, his teams were Mid-State 9 Champions. He also coached wrestling, golf, and assisted in basketball, track and baseball. 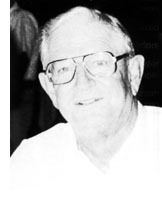 Robertson left coaching for administration in 1969, serving through 1987. 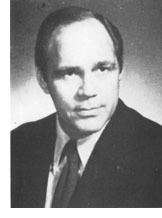 As principal of Peoria High School, he was instrumental in bringing the State Cross Country meet to Peoria, serving as meet manager for sixteen years. At Peoria High, he took the lead in developing many athletic programs and school facilities, including the Girls' Athletic Program. "Corky" introduced and administered the first experimental injury prevention condition program to the IHSA. He was a basketball official for 20 years on both the high school and college scene and worked many tournaments. He served the MidState Conference as its President several times, and he is the only individual to have played, coached and administered the annual Thanksgiving "Turkey Day" football game between Manual and Central. Now retired, "Corky" remains active as the ticket manager for the Bradley University Athletic Department. His father, :"A.J. ", and brother "Jimmy" were earlier Hall of Fame Inductees.